This particular trailer showcases the powers of the Parr family, from Bob's super strength, to Violet's invisibility and force-field powers. It even gives us a brief glimpse of Jack Jack's chaotic manifestations. Here we see how the powers can work together in multiplayer situations, such as Dash hiding in Violet's force-field, or Elastigirl forming a bridge for others to walk on. And who could forget Helen's ability to transform into a motorboat? The answer is "no one" because that's extremely traumatic. Thanks for rekindling those nightmares, LEGO. 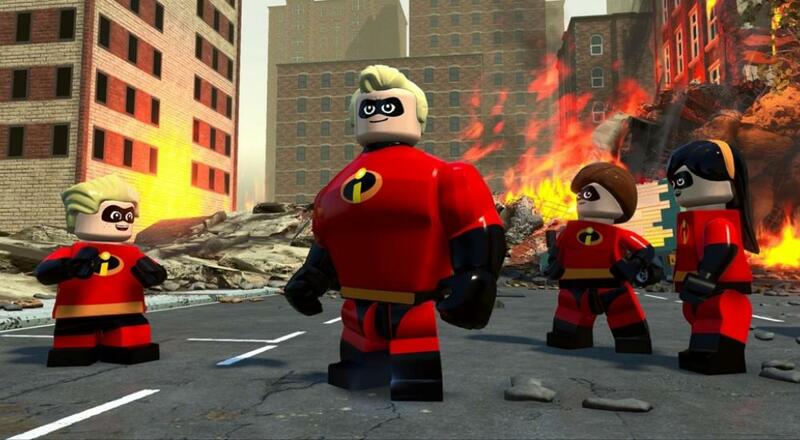 LEGO games are at their best when character's abilities work in tandem with each other, so it's good to see The Incredibles get their dues this go around. This seems especially key to a license all about family cohesion, even if everybody might have a tenuous grasp on the use of their powers. The two-player local co-op game launches June 15th, and covers both the classic film and The Incredibles 2 for PS4, Xbox One, PC, and Switch.